What is going on with Thibaut Courtois? With contradictory reports appearing in different sections of the press, I am asking the question "What is going on with Thibaut Courtois? Will he remain a Chelsea player next season?" As with Diego Costa, Courtois has always been the subject of intense speculation regarding his immediate future ever since he arrived in the Premier League. 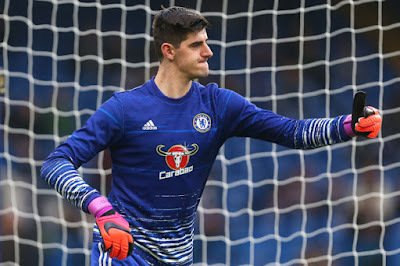 If it's not the obvious link to a return to Atletico, Courtois has been heavily linked with a move to the city rivals Real Madrid this summer with one report featured in The Sun claiming that he has already told his teammates of his intention to move. "I have never felt so good since I arrived in Chelsea. On the field, I am good, I make the decisive stops when it is necessary. I try to always be ready to help the team. My game has also improved a lot in the last two seasons. I sometimes have a few moments that are very difficult to manage but I’m doing well. I feel very confident right now. 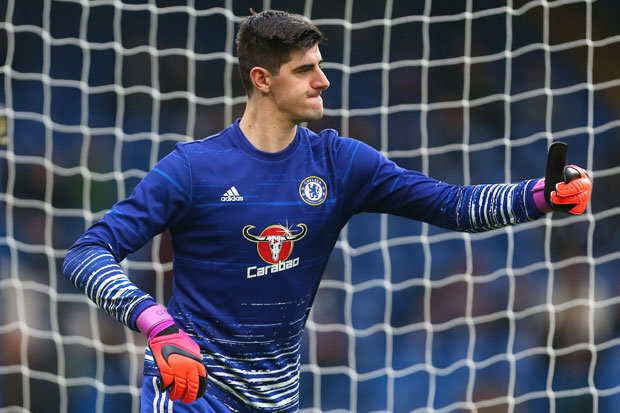 Some sections of the media have added a headline to state that Courtois is happy at Chelsea but I would not read to much into that because the general opinion I have from reading his interview above is how happy he is within himself and how much he has improved. At no stage has he spoken of being happy "at Chelsea". It's important to remember that Courtois' wife and daughter both still live and remain in Madrid which, with this being his third season in West London, you have to admit to being strange. Some reports featured in the local Spanish media have stated that the couple have started to look to enrol their daughter into school in Spain which would heighten speculation that he would be looking to move for family reasons in the summer. Real Madrid are looking for a new number one this summer and it's reported that they have given up on David De Gea with Courtois as their new prime target. If they came in for him, you would have to see him moving and in light of his personal situation, you can understand. One thing is certain, speaking how he is about the dressing room under Antonio Conte, he is just as determined as anyone to win that Premier League title at the end of the season. Let's hope his good form continues!